I am putting together a thing for my boys and extended family boys in two weeks. It is dipping my toes into a more complex event coordination. Earlier this year Diz had a fleet concept idea but it never came through. The ships for it are still somewhere in some station. Anyway, it just never happened. I'd been anticipating this fleet for some time. Of late, my personal confidence level has grown in indirect ways. I'm ready to be Diz's coordination and planning. He just has to FC it. I am trying to put it together. I'm am rather worried that the entire thing will be a flop. I just need people to show up and join fleet. I am providing the ships but I can not provide the people. I just spent a lot of ISK on this project. I'm vest for it to be a success. By a success I just want good participation and people to leave fleet when we are done with a smile. I am hoping that if I set it up, they will come. Dher said I should tell people what ships to bring. I vetoed that. I've learned that asking people to come prepared is a preassigned recipe for fail. I've written posts and today I am sending out a detailed mail. Yet, I know the day of, people will be like, "Oh! What are we doing? I don't have a ship." despite the two weeks of notice. And that is fine. I just need their bodies and their participation. 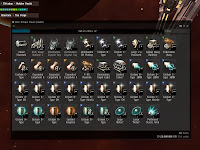 I also need to grind up more ISK since I just spent ISK on the fleet. I am debating adding a donate to the Event Holder line at the end. Perhaps that is to silly or I am greedy. I'll figure that out if it is a success or not. Even if it is successful and everyone gushes about how wonderful it is, I won't be personally backing this type of thing on the regular. Thinking about logistics... I did a Jita run the other day to pick up my orca pack and drop it off where my indy toon lives. I asked if anyone needed anything run up there is back. Its a 30 some odd jump trip so it takes a moment. Ender goes, "Take up my faction stuff?" I'm like, "Sure" so up pops a trade window. I dump it into my hold and then look at it. It took me until Gallente space to clear the spots from my eyes from the shiny light erupting from all that bling. The non shiny items were not Ender's. Surprise. I also had a death grip on my jump/warp/cloak until I got there. I jumped thorugh Uedama as well. 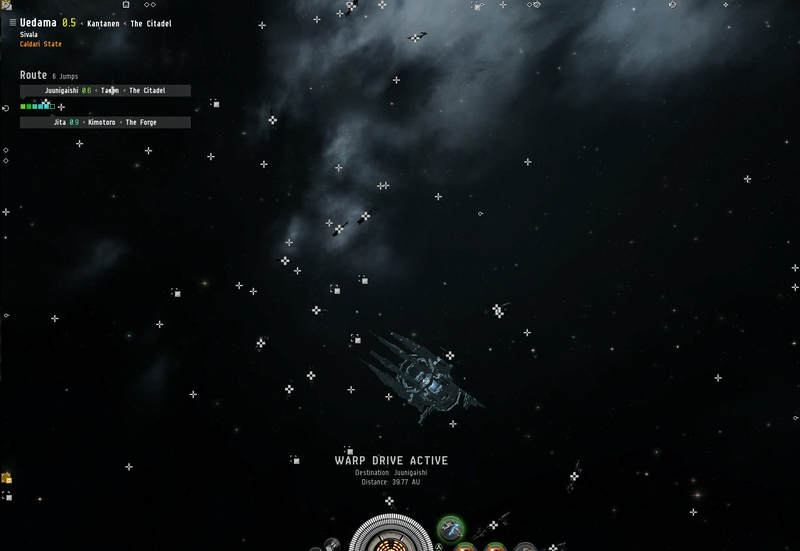 The sheer amount of concord on the gate told me that there had been a gank. Go, go cloaky hauler. Nex time I'm gonna put a bill limit on it or something. Gah. 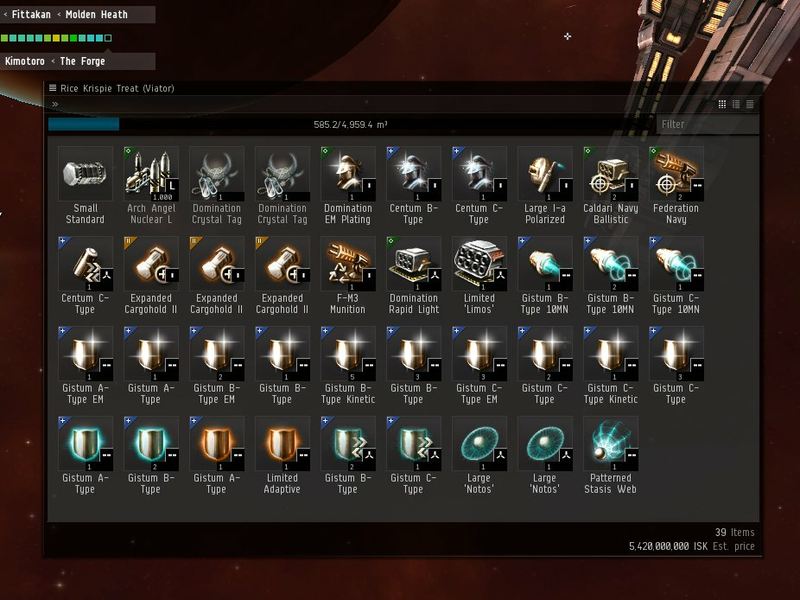 I would like to do a comparison on what those items are worth on the EVE market today and wonder if the difference is in the amount of drops available or the amount of people looking to find the items and therefore increasing supply and competition on the market. It is interesting to myself at least to wonder how much things have changed in 5 years. PS I know the feeling of hauling WAY more than your comfortable with I remember the first time I hauled a couple bill in my ship to/from a trade hub and anyone who doesn't sweat it obviously has a lot more isk than I do lol.